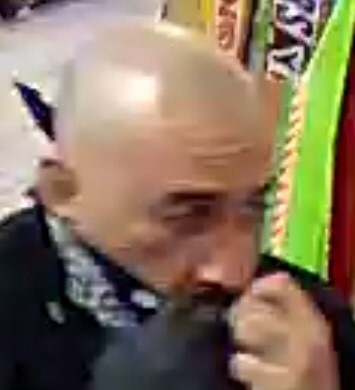 Unknown Hispanic male, 5’5”, 140-160 lbs, bald, wearing dark black sweatshirt, black/dark gray jean pants, gray skater shoes. 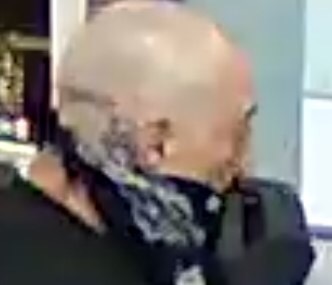 Suspect has an unknown tattoo on the right-side of the head behind the right ear and may have another tattoo and face scarring on his right cheek. On December 16, 2017, at approximately 6:26 p.m., deputies from the Fontana Sheriff’s Station responded to the Circle K at Valley Boulevard and Live Oak Avenue following the report of an armed robbery that had just occurred. Upon arrival, deputies were advised that the suspect entered the store and used a black bandanna to cover his face, pointed a handgun at the victim and demanding the victim retrieve money from the cash register. The victim complied with the suspects demands and the suspect fled the store on foot prior to the deputies arrival.